I have been up to quite a bit since the last time I checked in. I have traveled on the weekends, celebrated my birthday, and you know, also spent a bit of time with the kiddos. It has been a busy few weeks. So let's start with the traveling. The first place that I traveled to was Glenelg Beach. I just took the tram down to the beach and made an afternoon out of it. The beach itself was very pretty, but it was cold and slightly misty so it wasn't as impressive as it could have been. I decided to climb up onto some large rocks looking out over the ocean, and spent about an hour or so just thinking and looking out at the ocean. It was a very peaceful afternoon. I decided to finish out my afternoon in a very Australian way by grabbing some fish and chips and ginger beer. I thought I could convince myself to like fish and chips since I want to fully experience the culture. Nope. Still as disgusting as ever. Maybe next time just the chips. The next weekend, I had a little more excitement. I decided to head down to North Terrace to see all the excitement. Down this way there is the Adelaide Zoo, the Adelaide Botanic Gardens, the State Library, Adelaide Art Museum and the South Australian Museum. 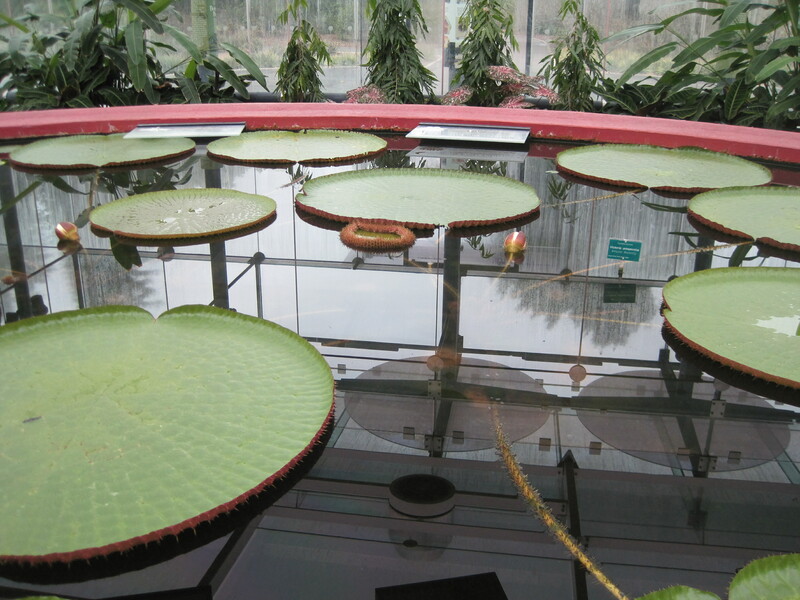 Again it was another misty day in Adelaide, so I only made it to the Botanic Gardens and the South Australian Museum. Both were really cool to see, so I am glad I went. At the South Australian Museum, there was a whole room full of stuffed animals that felt like a frozen zoo. I really wanted to stay in that room for a while, because I am apparently five years old, but it was packed with all the kids on break for school holidays, so I felt like I shouldn't be the lone twenty year old girl in with all the children. So I went to go look at the artwork instead. Even with the misty air all around me, the Botanic Gardens were still BEAUTIFUL. They had what seemed like miles and miles of gorgeous Australian foliage. I made my way through giant trees, interesting flowers and even a health garden. My favorite parts, although it may be because of the rain, were the indoor greenhouses. One of the greenhouses had extremely tall rainforest-type trees. You could walk up a long ramp to be able to look over the top of them. 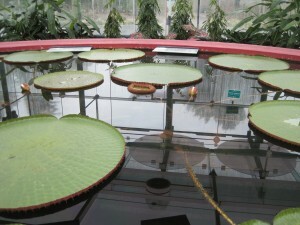 Then there was the other greenhouse with enormous Amazon Lily Pads. They were approximately the size of a small table top. They were so fantastic, and I spent a good long time in there. So after spending long afternoons traveling by myself, it was nice to have a relaxed weekend celebrating mine and my host dad's birthdays with the family. This was the first time that I celebrated my birthday with an afternoon tea and it was great. All of Amanda's family showed up to celebrate. We had a delicious dessert made by Amanda's mother called a Pavlova. From what they told me, it is a traditional Australian dessert named after the famous Russian ballerina Anna Pavlova. It's really easy to make and delicious. Here is the recipe for anyone that's interested. We used strawberries and blueberries on top instead though. It was a lovely afternoon and a great way to celebrate my birthday. On my actual birthday, it was another great day. I started out the day getting a great package from my family back home with lots of great activities for the kids and shoes! Fun fact, if you are a freak and have size 12 shoes like me, there is absolutely no shoe market for you in Australia. These people have tiny feet, so I was thrilled to finally get some shoes from home that fit! After getting the package from back home, I spent some time making my birthday cake. I love baking, so this was a great opportunity to express that passion. I thought long and hard about my decision for my birthday cake. It had to be perfect. Finally I settled on a Chocolate Ganache Cake. It was the best decision I have ever made for a birthday celebration, and it was a hit. It tasted like heaven, and it was so easy to make! I finished out the day with a very generous gift of a massage from Endota Spa from my host family. 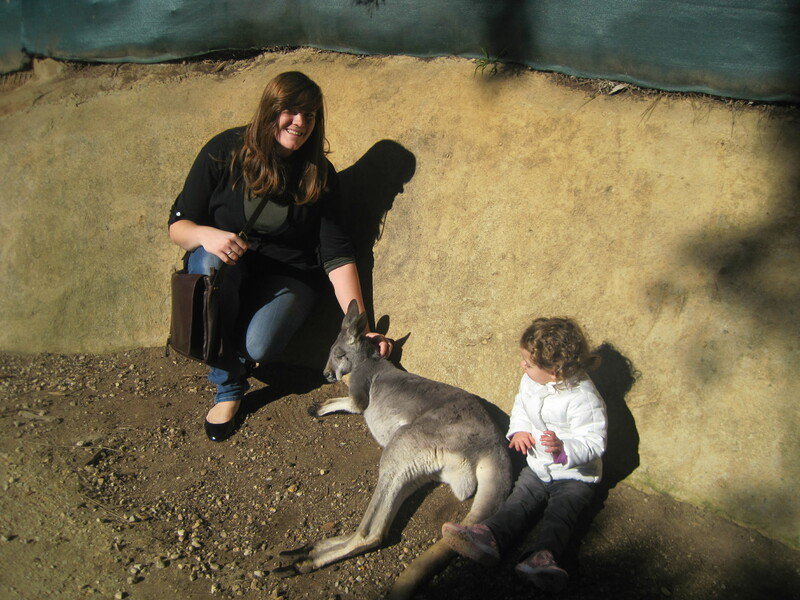 Personally, I really enjoyed my first Australian birthday and wouldn't mind doing it again! So in the midst of all my excitement, I swear I really was doing my job. I was being the best au pair a family could ask for with the help of the Internet, my mom's supplies from back home and some financial funding for my day to day activities. So for a lot of our daily activities, we have been playing golf and tennis in the back yard, making baking soda and vinegar volcanoes, making play dough and going to the library. If that wasn't enough to keep these kiddos happy, I also organized their toy shelves (complete with pictures of the toys so that they knew where each toy needed to go), made frozen colored globes of ice (you just put colored water in a balloon in the freezer overnight and then let the kids go to town breaking it the next day) and made snow like bubbles (use a strainer and move it quickly in sharp motions and it will create lumps of bubbles that fall like snow). We also made some salt pictures out of glue, salt and food coloring. The kids painted some giant letters spelling Dad for Mario's birthday while I painted a giant cardboard car for them to play in. 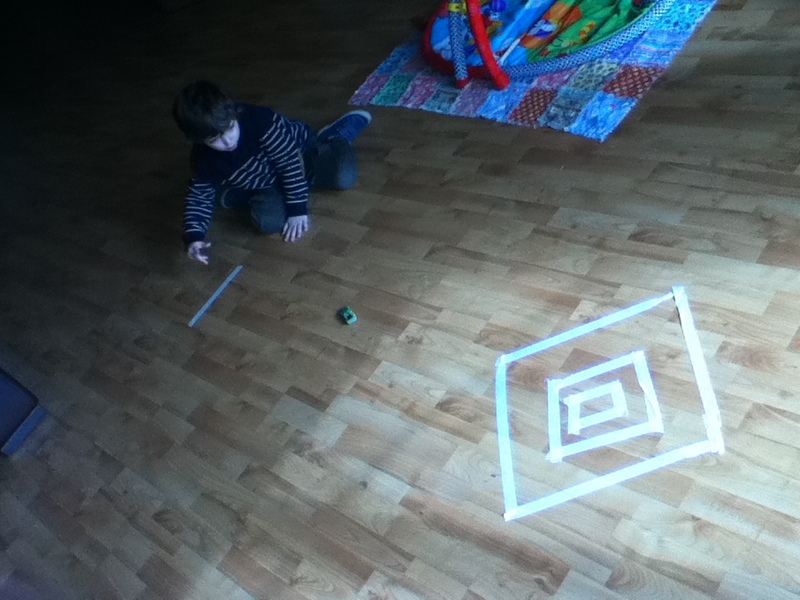 Also, it has been raining in Adelaide lately, so we have been creating games inside such as who can get the Hot Wheels car into the square of tape on the floor first. 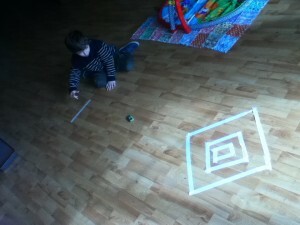 The kids loved these games the most. Finally, we went to the zoo!!! I was probably more excited than the kids were to go to this zoo, because I got to see and touch a kangaroo, anddddd I saw a pigmy hippo and a koala. I call that a win. So as you can see, it has been a busy few weeks, but I am still loving Adelaide.